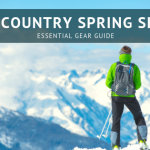 Want to go Backcountry Skiing in California but not sure where to go? 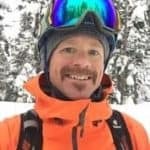 Backcountry skiing is growing in popularity as more people seek out pristine powder runs and solitude in the mountains. Knowing where to go and when to go requires research, education and planning. 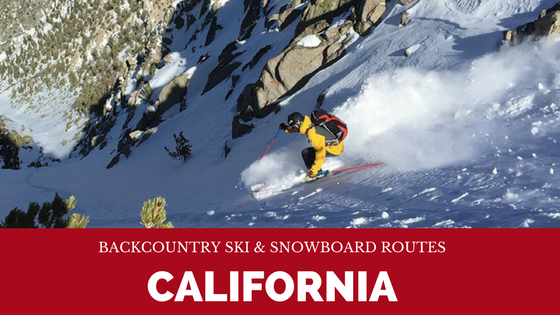 The NEW Backcountry Ski & Snowboard Routes California guidebook by Tahoe based professional skier and author Jeremy Benson is a handy place to start. 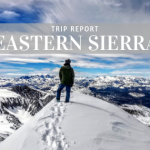 It’s the most comprehensive guidebook I’ve seen detailing 97 ski tours from Bishop to Tahoe to Mt. Shasta. The author, Jeremy Benson, descends off Maggie’s Peak above Emerald Bay in Lake Tahoe. I really liked that this guidebook includes everything from shorter backcountry tours to challenging all day summit pushes. 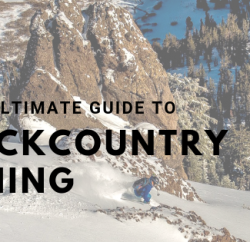 So many backcountry ski books focus on the harder routes and summiting peaks or skiing challenging couloirs, this guidebook has something for everyone. The author uses a 1-5 rating system for the terrain difficulty based on steepness and complexity. None of the routes in the book are rated a 1 and most are in the 2-3 or 3-4 range with a couple in the 5 range (where falls are most likely fatal). He also rates each route for difficulty based on distance and elevation gain. The further you have to hike out and up the more difficult the rating. He clearly explains all of the ratings in the beginning of the book which is very helpful. 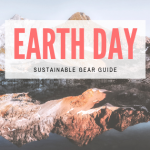 This guidebook is very easy to use and well organized. 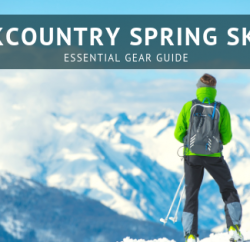 The beginning section includes some basics on equipment and what you need to get started backcountry skiing. It also has a good list of resources for checking avalanche conditions and where to get more education. 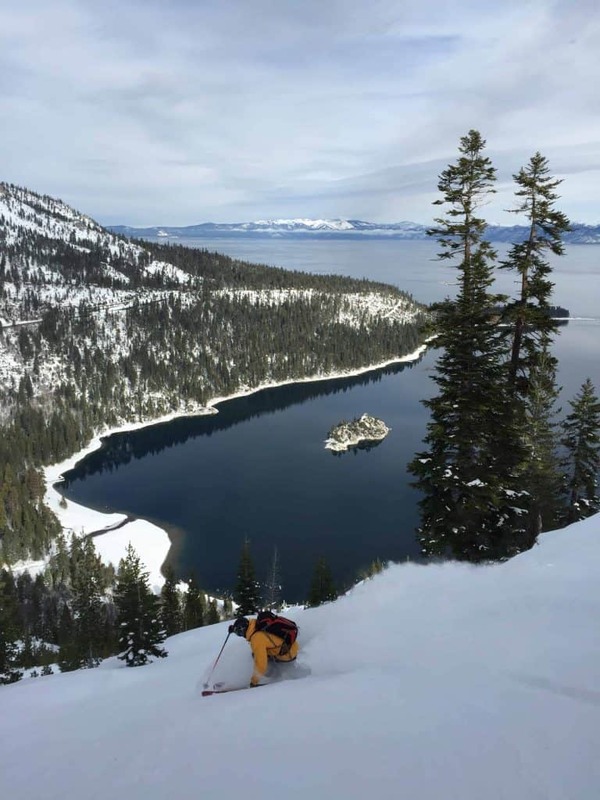 (We recommend Tahoe Mountain School if you are in Truckee or North Lake Tahoe). The maps are easy to understand and the descriptions for route finding are detailed. It shows that the author has a lot of first hand experience in these areas. One of the best parts of the book are the different options the author includes for each route so you can drop in at different spots or extend your tour. I really like that each section includes descriptions about the area including the history, interesting facts and tips on where to go locally for more information. This helps me feel more connected and appreciate the area where I’m going more deeply. The book starts in Northern California with Mt. Shasta and Mt. Lassen and moves south ending in Bishop at the Southern edge of the Sierra. It touches on some tours if you are going on a hut trip to places like the Benson Hut, Bradley Hut and Pear Hut. 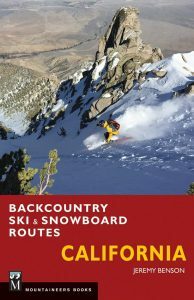 I highly recommend this book if you are interested in checking out all the incredible diversity and beauty of the California Sierra Nevada mountains for backcountry skiing. Stop by Tahoe Mountain Sports in Truckee, California to pick up your copy today! 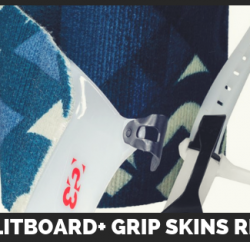 We also have all the beta on current conditions and Rent Backcountry Ski Gear. If you can’t stop by please click the link below to buy online from our Amazon Store.